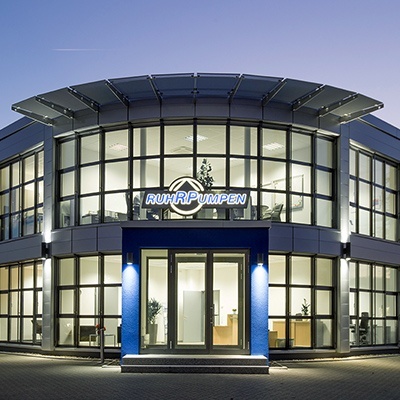 Our world class training centers, located in Witten, Germany and in Monterrey, Mexico, together with our training teams around the globe, provide the latest computer technology, training assistance, equipment and techniques to provide cutting-edge information. Moreover, our tailored courses can be matched to the experience levels and needs of our customers in their specialized fields. This way, our team is able to provide the seminars in our training centers or tailored courses may be arranged at your facilities. In case of customized training packages, it is possible to arrange technical practices as a complement of the theorical contents. These practices can be done in our facilities (training or service centers) or in our client's facilities. Technical practices cover field and/or engineering services such as: vibration analysis, material nondestructive examination, failure analysis and performance testing. 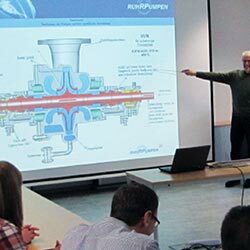 Audience: engineers; plant operational and maintenance personnel that aim to improve their understanding of centrifugal pumps and their operation. Objectives: to understand how centrifugal pumps work and identify the different pump types and why they're used; understand pump curves. 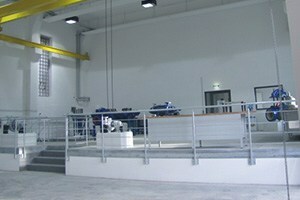 Audience: engineers; plant operational and technical services personnel. 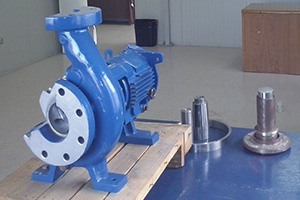 Objectives: to define and generate the ideal prototype that satisfies the needs of a pump system. Objectives: to analyze and compare physically each of the main points that intervene in a hydrodynamic system. Audience: engineers; plant operational and technical services personnel who are new to vibration monitoring and analysis. Objectives: to analyze the effects and consequences caused by misalignment and improper balancing of the elements of a pumping system through a study of mechanical vibration analysis; to find solutions and establish maintenance practices to prevent vibration. Audience: engineers; fire pump operators; plant operational and maintenance personnel. Objectives: to identify and understand each of the elements of a fire protection system, their operation and maintenance.